A recent Guest Speaker at our meeting, Lindy (seen below), mentioned that there are some wonderful Ambassador Tours around the Coffs region. Listed below are the tours that are coming up this month. If you want to attend it is necessary to book so just click on the links where you can register. Discover the Rocky Shore at the Woolgoolga rock platform, Wed 8 July. The Great Sea Turtle Adventure geared for kids Wed 8 July at Look At Me Headland near Emerald Beach. Koalas In Our Backyards - Sunday 19 July at Toormina bushland reserves. Bush tucker at Woolgoolga Lake - Saturday 25 July. 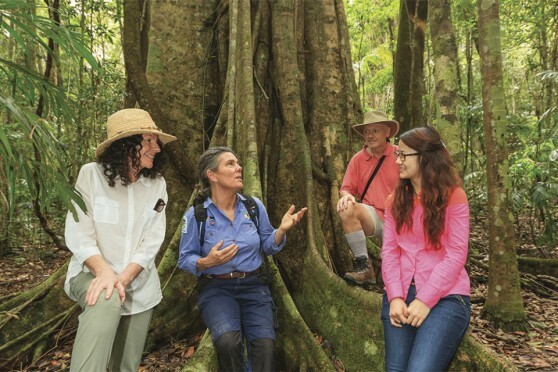 Coffs Rainforest Walk - Sunday 26 July at Bruxner Park.